A long while ago I co-formed a group of companies. We had some seed capital, an astonishingly good idea and offices on the 28th floor of the Gherkin. It was a frenetic time. A time of great energy, of trying things out, of muddling through. It was gum shields in and scrum down. We all worked on whatever task was needed to get the companies going and to take the product from idea stage to launch. As the companies grew we realised we each had to specialise. So we built divisions of labour. We established systems and structure to provide a basis of competitive advantage. We nurtured a culture, formalising behaviour as a way to predict and control outcomes. The same coming-of-age story needs to unfurl with influencer relations. 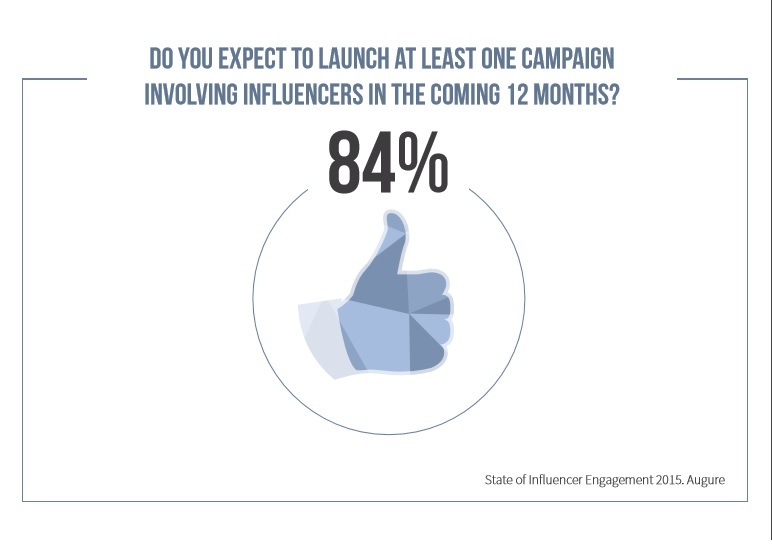 According to one 2015 survey, marketers and communications professionals are either committed to spending more time and resource on influencer marketing campaigns or launching an influencer marketing campaign within the next 12 months. Yet as B2B influencer Ted Coiné puts it – influencer relations is like the wild west. Responses from surveys run by Augure, an SaaS influencer marketing company, and Mynewsdesk, an all-in-one brand newsroom and multimedia PR platform company, back up Ted Coiné’s sentiment of – if not lawlessness, then at least a lack of framework within influencer marketing. Nearly three quarters of respondents (73%) to the Mynewsdesk survey said their organisation has no reporting metric for influencer engagement. This suggests most communicators are building programmes speculatively. But if you don’t know where you’re going how are you going to know when (or even if) you’ve arrived? How are you going to determine whether your influencer campaign was a success if you’re failing to capture engagement metrics? In absence of capturing engagement metrics, it is unclear whether Marcom professionals are measuring by gut feel or voodoo. What is known is that over half (56%) complain that they fail to achieve a positive result with their influencers according to the Mynewsdesk survey. Influencer marketing is yet to sit snuggly within any one function of the company. This is troublesome. The goal of ownership is to ensure consistency in engagement and further the relationship. Augure reports that over a quarter (28%) say the Head of PR is in charge of managing influencer engagement. In 17% of companies, the community manager oversees the discipline (the same percentage as CEOs who oversee). 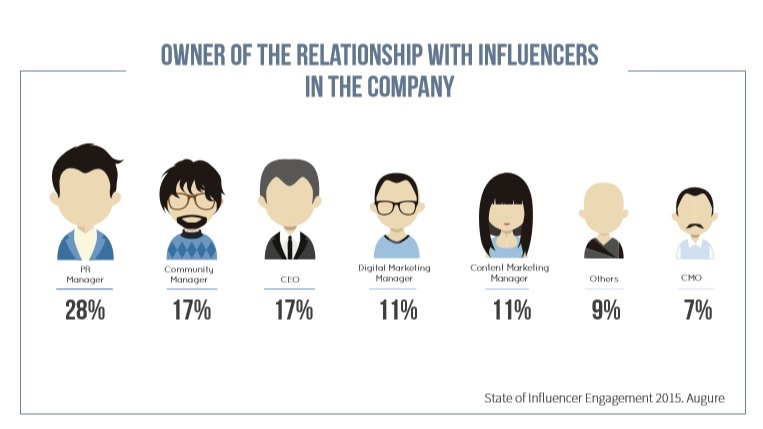 Influencer marketing ownership also sits with the content marketing manager, the digital marketing manager, and the chief marketing officer. Currently the people who set the influencer strategies are also those who execute the campaigns. 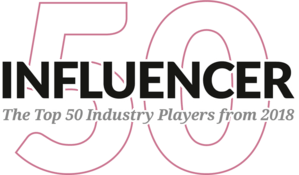 Mynewsdesk reports that influencer relations strategy tends to be defined by senior managers (59%) and middle managers (32%), and these people overwhelmingly take on the responsibility of executing it too (35% and 31% respectively). Should you pay your influencers? There is wide disagreement over whether brands should pay their influencers. The consensus today among marketers and communications professionals is a resounding ‘no’. Will this parsimonious stance last to the end of 2016? I doubt it. The clever brands will realise that to nurture long-term relationships with their influencers and super-charge commercial results there needs to be mutual reward. Marketers and communicators undertaking influencer relations campaigns also struggle with how best to use the discipline. Is influencer relations best used for content promotion? Content creation? Product launches? For organising events? SEO purposes? Crisis management? Or all of these? 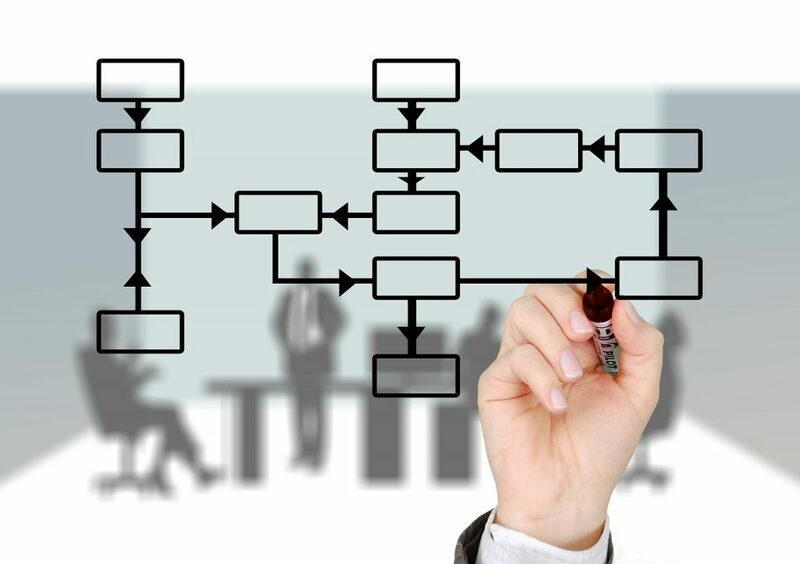 Instead, a framework needs to be developed which pulls in the best of structure, systems and behaviours which combined realise business objectives time and time again. Not in a way that throttles creativity and reduces the discipline to a paint-by-numbers prescriptive approach but a set of tools and a unified approach for using influencer relations to achieve corporate objectives. An approach which embraces the process of identification, interaction and evaluation. 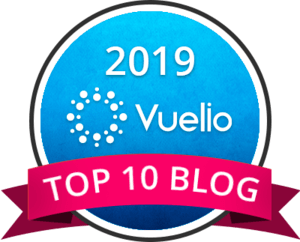 If you liked this post, subscribe here and get regular access to much more content about business communications, change and creativity.